Dr. Brinkman is certified by the American Board of Surgery in both General and Pediatric Surgery. He specializes in all types of pediatric surgical cases and has special interest in pediatric intestinal failure, short bowel syndrome, nutritional support, minimally invasive thoracic surgery and complex neonatal surgery. 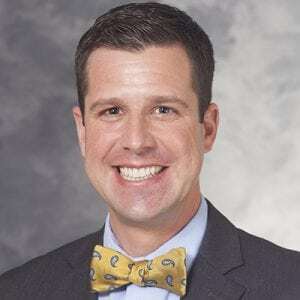 He is a member of the general pediatric surgical team and the Director of the Nutritional Support Team at the American Family Children’s Hospital. Optimizing surgical resection of the bleeding Meckel diverticulum in children. Computed tomography-related radiation exposure in children transferred to a Level I pediatric trauma center.